Robots, spaceships, futuristic megacities, planets orbiting distant stars... these icons of science fiction are now in our daily news. Science fiction, once maligned as mere pulp, has motivated cutting-edge scientific research, inspired new technologies, and changed how we view everyday life - and its themes and questions permeate popular culture. Take an unparalleled look at the influence, history, and greatest works of science fiction with illuminating insights and fascinating facts about this wide-ranging genre. 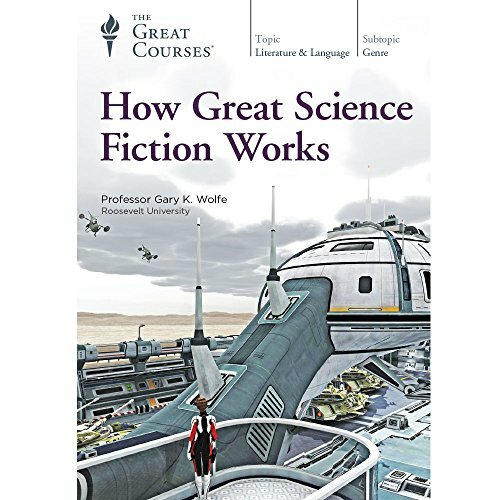 If you think science fiction doesn't have anything to do with you, this course deserves your attention. And if you love science fiction, you can't miss this opportunity to trace the arc of science fiction's evolution, understand the hallmarks of great science fiction, and delve deeply into classics while finding some new favorites. These 24 captivating lectures reveal the qualities that make science fiction an enduring phenomenon that has been steadily gaining popularity. You'll grasp the context and achievements of authors like Arthur C. Clarke, H.G. Wells, Isaac Asimov, Ursula K. LeGuin, and many more. You'll experience the wonder, horror, and incredible imagination of works like Frankenstein, the Foundation series, Stranger in a Strange Land, and dozens of more recent stories as well. You'll also see this genre's influence in movies like Star Wars and TV shows like The Twilight Zone. Science fiction can take us places in time and space where no other form of fiction can - outer space, the far future, alternate universes, unfathomable civilizations. The best science fiction expands our imaginations and makes its mark on our reality. And while few writers would ever claim to predict the future, sometimes authors get it almost eerily right: Gernsback describing radar in 1911, Bradbury describing giant flatscreen TVs in 1951, Gibson inventing "cyberspace" in 1984, and so on. Where will science fiction take us next?